Creasing at the upper thighs provides subtle texture to the front of boot-cut jeans crafted from a clean, over-dyed indigo denim. 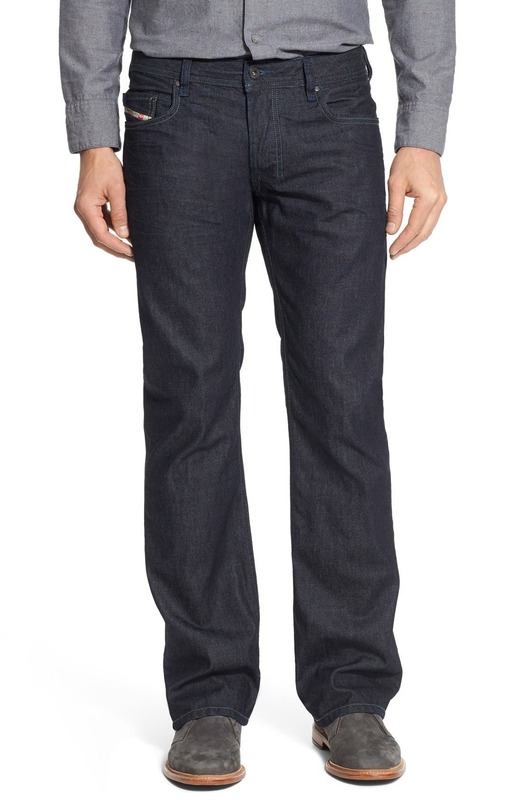 Style Name: Diesel Zatiny Bootcut Jeans (88Z). Style Number: 222995. Available in stores.